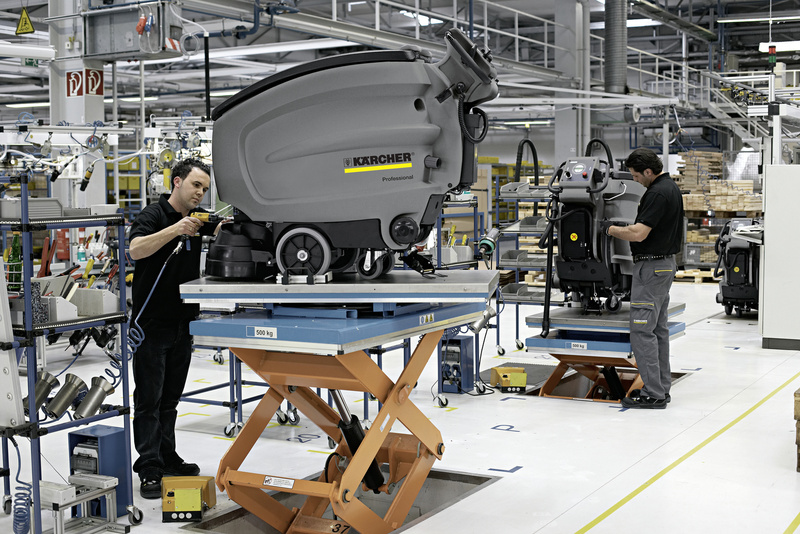 BD 38/12 C Bp Pack 17834300 https://www.kaercher.com/ge/professional/floor-scrubbers-scrubber-dryers/scrubber-driers/walk-behind-scrubber-driers/bd-38-12-c-bp-pack-17834300.html Lightweight, quiet and agile: the BD 38/12 C scrubber drier with disc head is fitted with a fast rechargeable, high-performance lithium-ion battery and eco!efficiency mode. 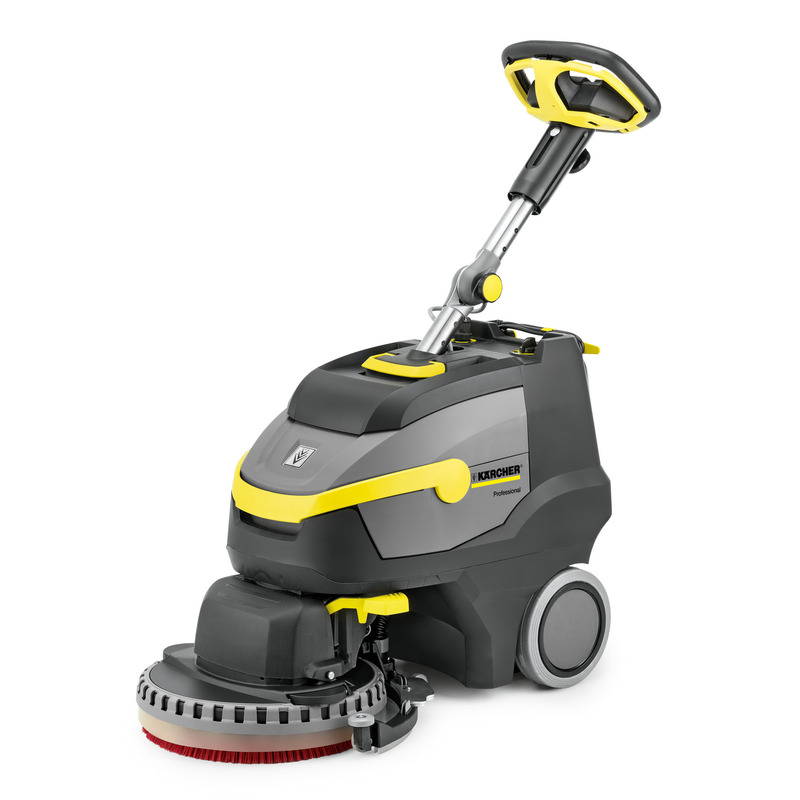 Excellent cleaning power on smooth floor coverings. Suitable for use with brushes and pads. Brush included in scope of delivery. Completely maintenance-free despite a service life that is three times longer than conventional batteries. Quick charging (full in three hours, half full in one hour). Interim or partial charging is also possible where necessary. The charger is always there; charging is always possible. Can be fully recharged in three hours or semi-charged in one hour. (Interim charges possible at any time.) Charger automatically switches itself off. No energy consumption in standby operation. Easy to manoeuver and simplified transport in vehicles. 40 % reduction in noise level. Saves resources and extends run time by up to 50 %. Optimum suction – even in curves. Easy raising using a foot pedal. No protrusions from the device.